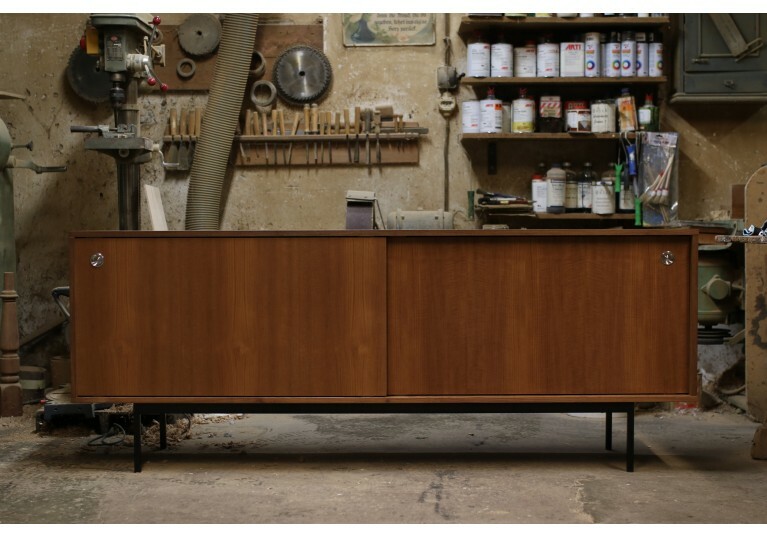 Beautiful teak sideboard, freestanding, Made in Germany. 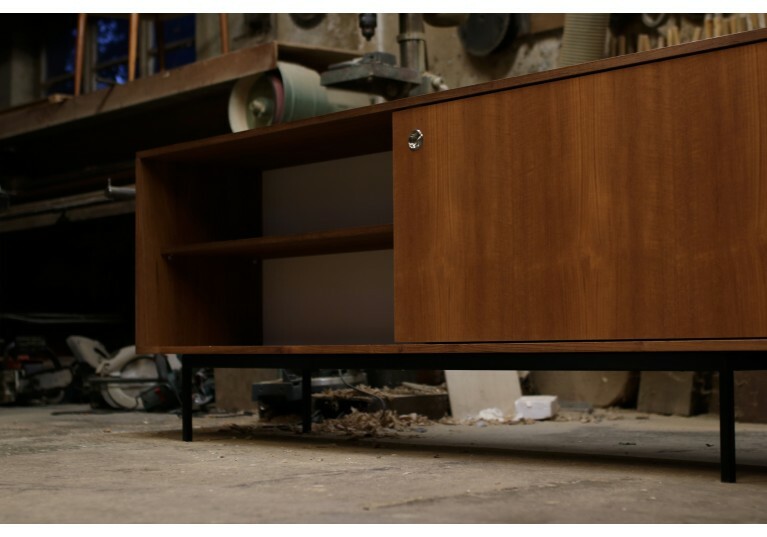 Teak Sliding doors with stainless steel door handles, iron base powder coated in black. 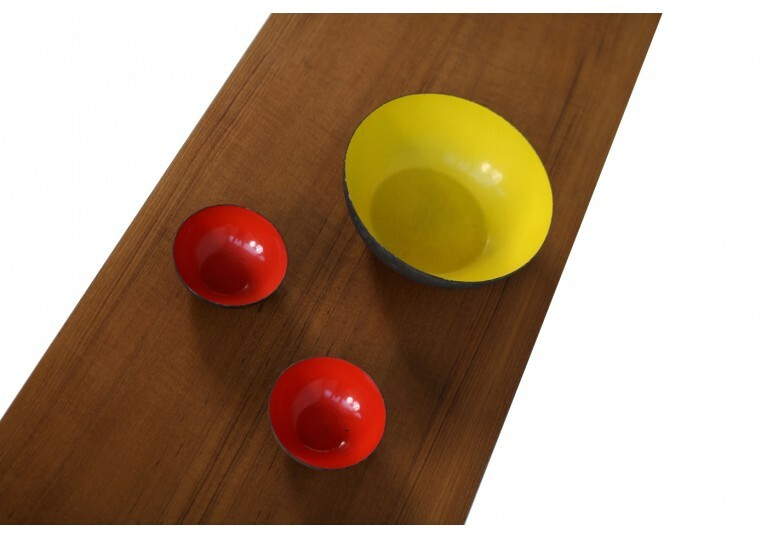 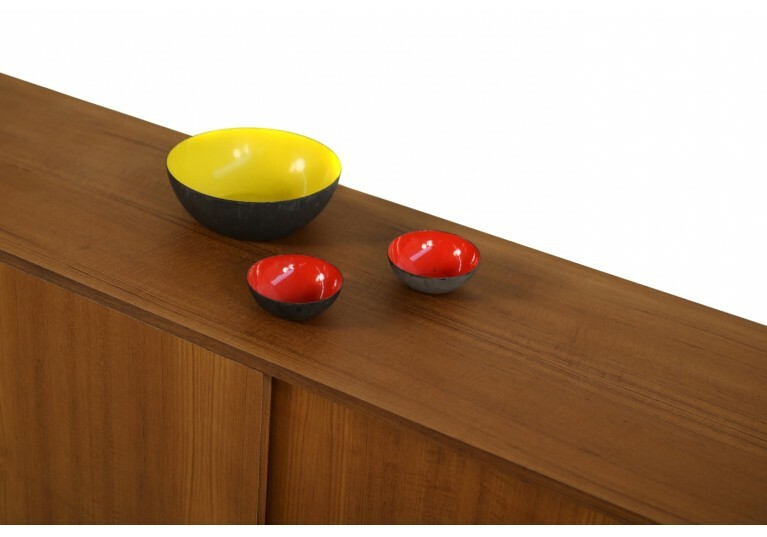 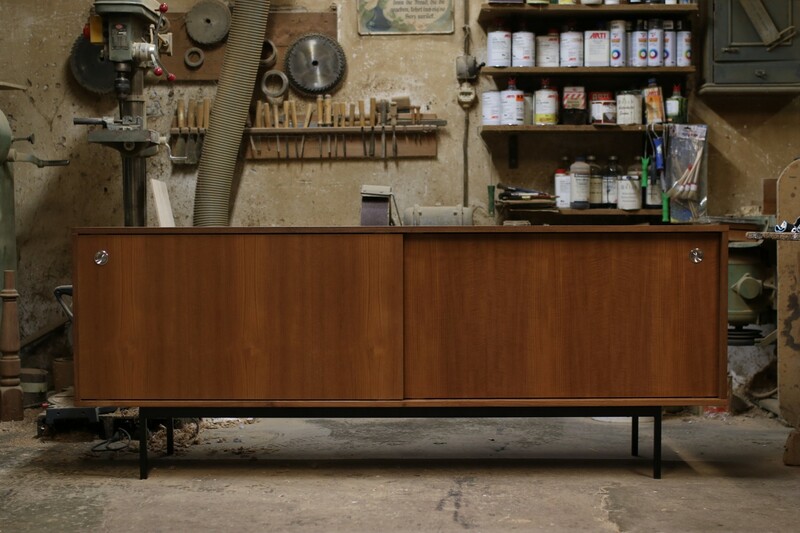 The sideboard was produced in "oldschool style" without using screws, solid materials, also available with HPL (formica) coated doors in white or/and black, see other items on our website. 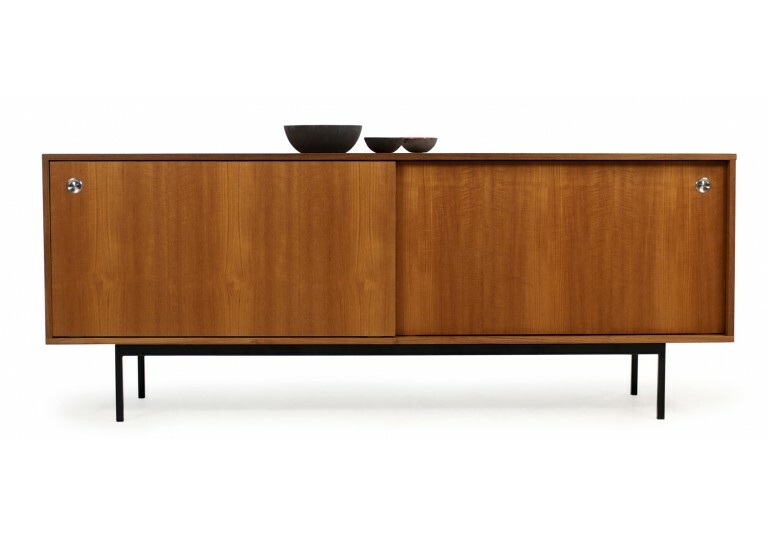 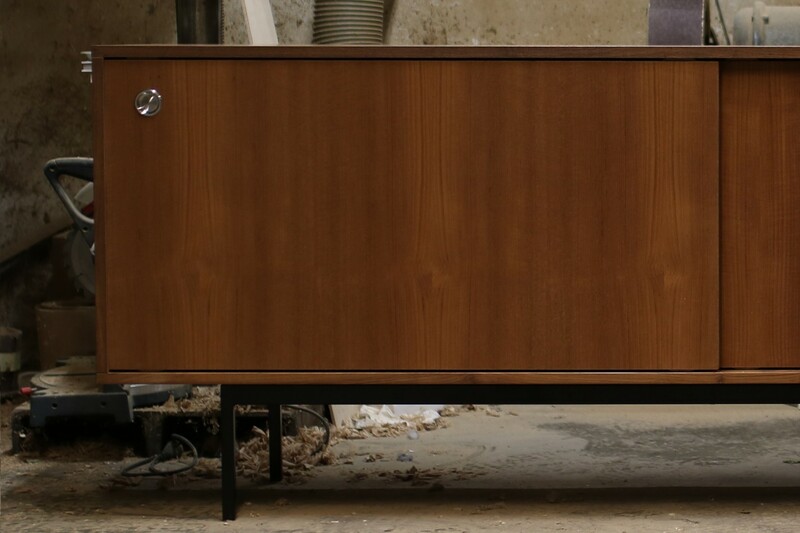 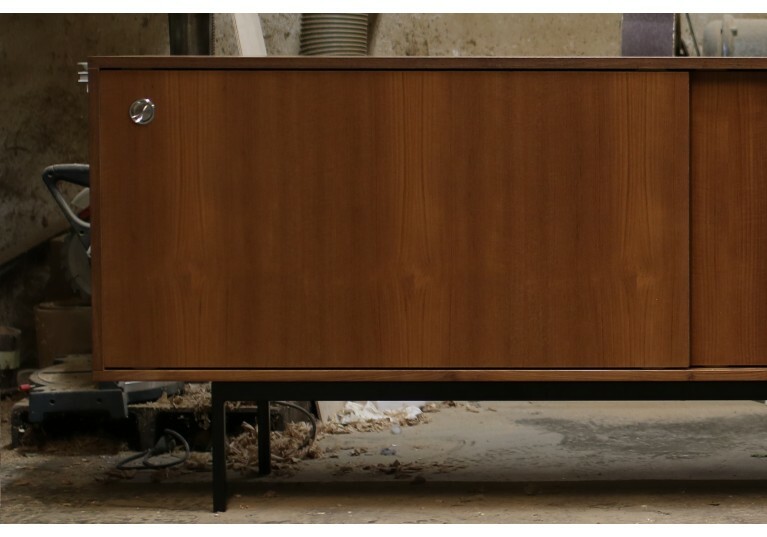 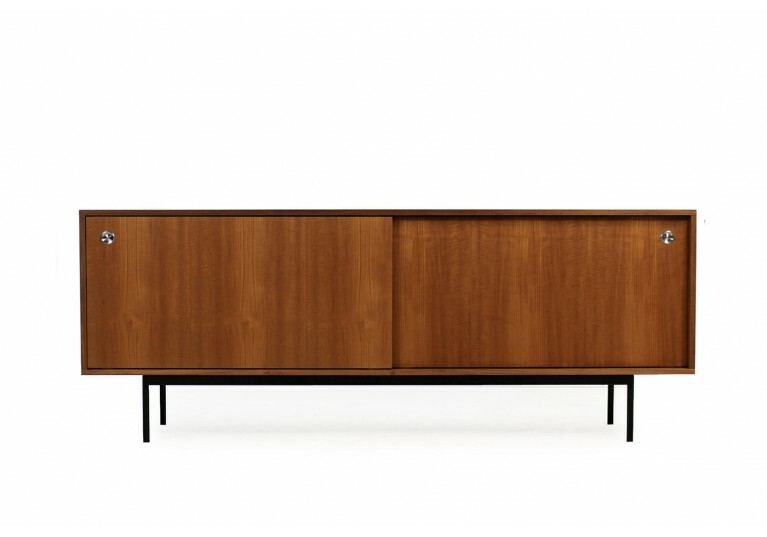 This sideboard was made according to a designer concept, based and inspired on pieces and designs from the Mid-Century Modern and the Danish modern. 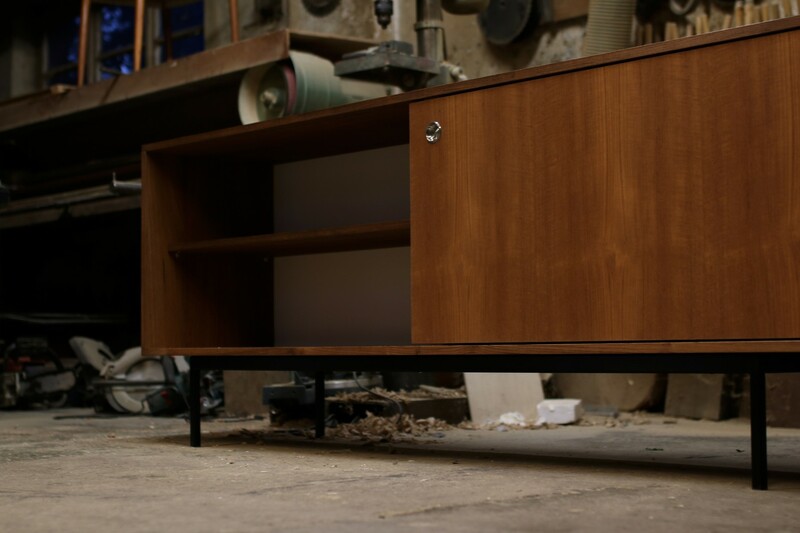 Small edition production. 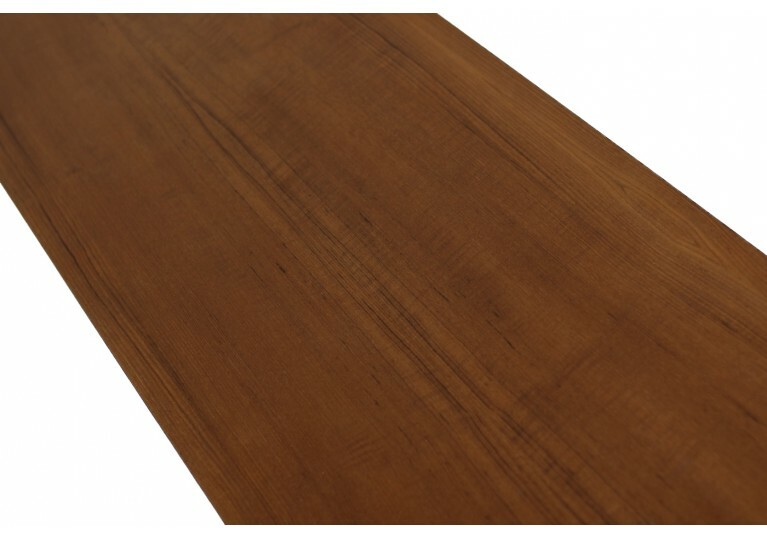 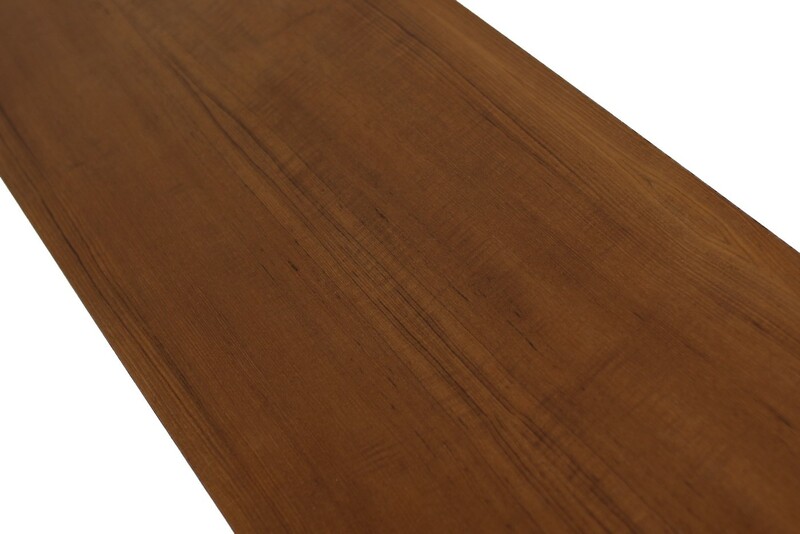 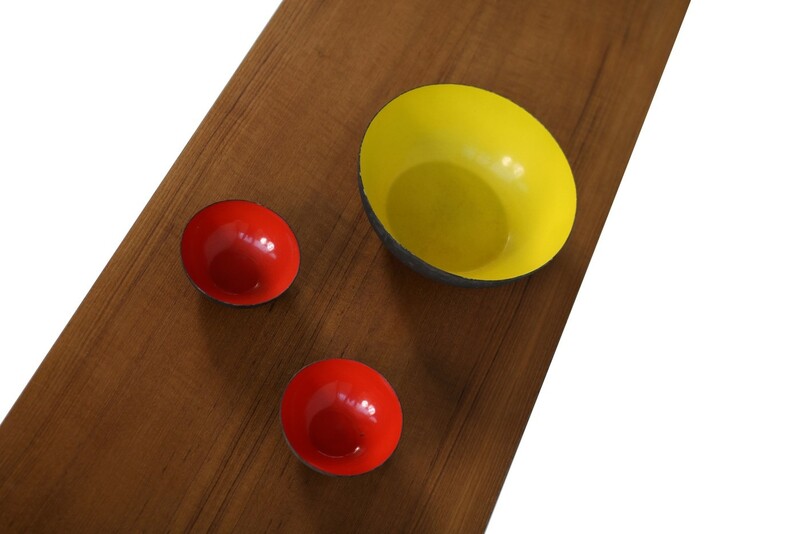 Unique in Europe, genuine and natural, selected teak wood veneer. 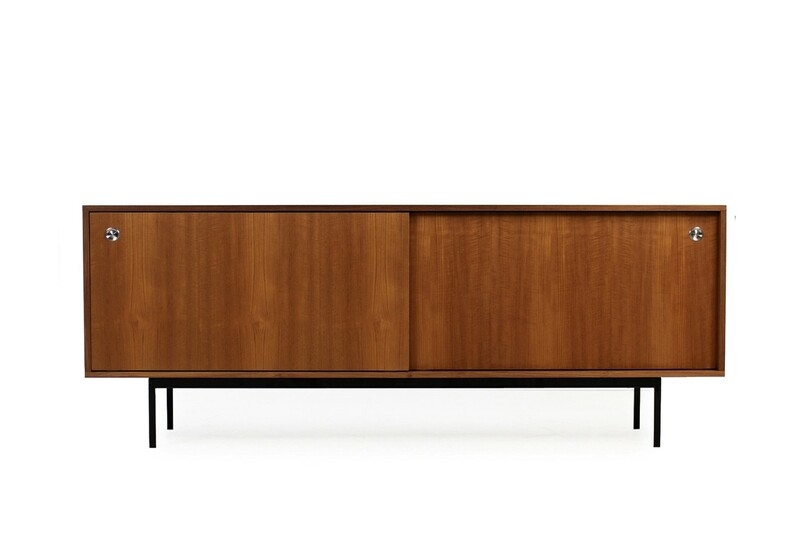 Designed by Nathan Lindberg Design nathanlindberg.com Adjustable shelves inside, freestanding, white formica rear wall.